My attempt to create this famous journalist. I love her, just had to do it. 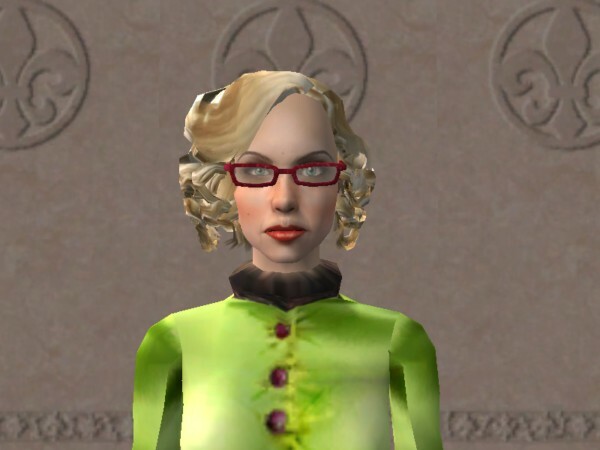 Rita Skeeter is a fictional character from the Harry Potter series. She works as a reporter for the Daily Prophet and a correspondent for the Witch Weekly, who specialises in yellow journalism. Armed with such magical devices as the Quick-Quotes Quill which automatically misquotes an interviewee even while he or she speaks, the character is clearly intended as satire on such journalists in the real world. As a reporter who fabricated information in order to write an appealing story, she was an antagonist to Harry and his friends throughout Harry Potter and the Goblet of Fire. 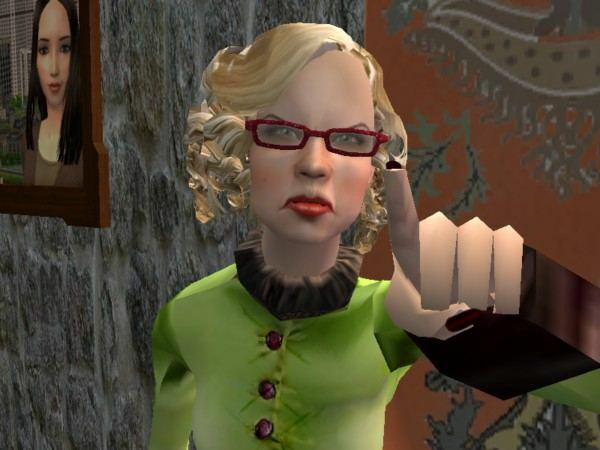 The hair, the outfit and the nails aren't included in this download. She wears Maxis stuff.